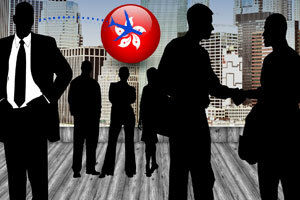 Interested in Hong Kong immigration? What are the options available? Hong Kong is an ultimate immigration destination for immigrants who would like to get themselves indulged in internationally recognized higher education programs, fascinating work culture and the high standard of life. Every year this world-class destination grabs the attention of more number of overseas applicants by offering lucrative career and employment opportunities that would be supportive for them to stand easily apart from the crowd. If you are one amongst those planning for Hong Kong immigration, then make sure to be aware of its special visa options and schemes. Individuals who aspires to be a part of its welcoming society and possess right combination of skills, qualification and experience can make use of the below mentioned Hong Kong immigration routes that would help them get the right visa as a skilled professional. IANG (Immigration Arrangements for Non-local Graduates): This program is designed to encourage international students who would like to extend their stay duration to work and stay as professionals in the nation. Under this renowned popular scheme, non-local students who have attained a degree or other higher qualification from the locally- certified programs of the nation can apply to stay and work in Hong Kong. Furthermore, graduating candidates who aspire to apply for IANG but have not attained the graduation certificate can do so by lodging a request for entry for working as professionals in Hong Kong. GEP (General Employment Policy): A visa under this plan is usually granted only for a specific duration of time. To be eligible for this scheme, you need to hold authentic employment offer. Moreover, an overseas skilled worker must also be able to prove that they have a graduate degree and the necessary experience that would be helpful to fill the position that the country is currently experiencing the shortage. Apart from this he or she should also be able to demonstrate their Wages offered, and other working circumstances are equivalent to local standards. Skilled professionals who meet the criteria mentioned above must also be able to score a minimum of 80 points for 165 in the points test.